Rumour No. 1: Chelsea midfielder clogger Michael Ballack may find himself reunited with former coach Jose Mourinho in the summer. 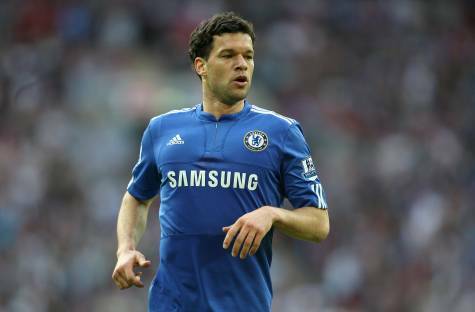 Ballack’s contract at Stamford Bridge runs out in July and negotiations over a new deal are at an impasse, fuelling speculation that Ballack will be allowed to walk out of the club on a free transfer at the end of the season. Inter Milan are said to be monitoring the 33-year-old’s situation closely, and will reportedly make their move as soon as the German’s contract runs out. Rumour No. 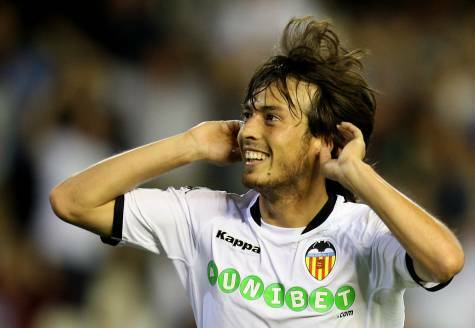 2: Manchester United look set to lose out on long-term target David Silva, as the £22-million-rated Valencia winger looks likely to be the subject of a pre-World Cup bid by Real Madrid. Los Blancos are keen to steal a march on their English rivals as they plan to use the signing of Silva as a starting point for their rebuilding efforts following this season’s disappointing short-comings. The Best of the Rest: Manchester City have very nearly completed a deal to bring Hamburg’s Jerome Boateng to Eastlands for £11 million. Palermo are in talks with Manchester United to take highly-rated young striker Federico Macheda on a season-long loan next term. In further Man Utd news, Sir Alex Ferguson has set his sights on recruiting Lyon’s rather excellent ‘keeper Hugo Lloris as a long-term replacement for Edwin Van Der Sar. Sunderland midfielder Steed Malbranque has ruled out a return to France, following reported interest from Bordeaux and Marseille. Fulham are chasing FC Twente’s £10-million-rated Costa Rican forward Bryan Ruiz. Nott’m Forest are planning to raid play-off rivals Swansea for Darren Pratley – who is rated at £2 million – in the summer.